Ho-Chunk Gaming WI Dells offers a full-service casino open 24 hrs. Dining choices of a steakhouse, buffet, cafe' & bar & grille. 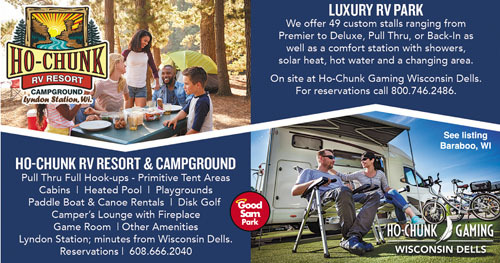 Come stay at our premier RV Park just steps away from the casino & enjoy all the amenities! Small RV park but satisfactory. Showers however need some help. The A/C in the bathroom/shower rooms was set at 62. Brr. The shower water was controlled by an electric eye (I guess to conserve water) so if you moved the slightest bit the water turned off. Turned right back on when you got back directly in front of the eye. There was also no a lot of water pressure. The casino however was another story. I've been in a lot of native American and privately owned casinos. This ranks right up there with the worse. It started off when I tried calling for a shuttle. The employee was extremely rude and hung up on me twice. I finally ended up completely blowing up on him and security came by and called a shuttle. They also have very little choice for food. A steak house that is OK, a coffee shop that closes at 2:00 PM, another one where you can order hamburger type meals and to go meals and the worst buffet I've ever seen. We went there on Wednesday night and since it is only $9.95 their attitude must be we don't need to have any food available. They were so understaffed they could not keep up with the demand plus there was very little variety, especially for a buffet. (Tonight were driving into town for a decent meal). They also seem to have a major maintenance problem. I would estimate that at least 25% of the slot machines were out of commission and shut down. Never again will I ever go to any Ho-Chunk casino. WiFi was great - fast & easy to connect. No cable. Roads in the RV area are paved - very nice. 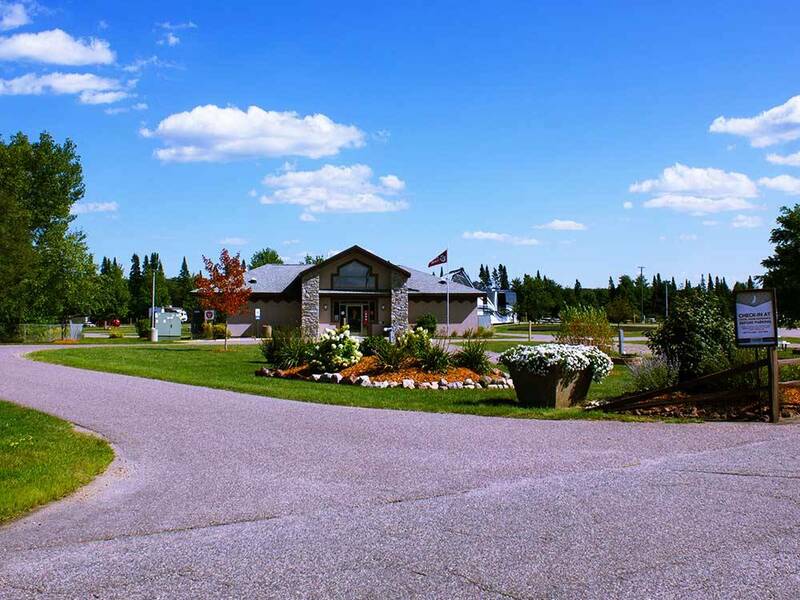 Small RV park, quiet , close to casino if you want to go there. Facilities very clean. Security drives through several times a day. Nice place to stay!! Plenty of space and great entertainment with the casino right there. Pool and hot tub are very nice and was not too busy on the weekend. Nice choices of restaurants in the casino.